The “dadbod” may be all the rage on social media these days, but smart dads know that regular exercise is important for so much more than just looking good while shirtless. 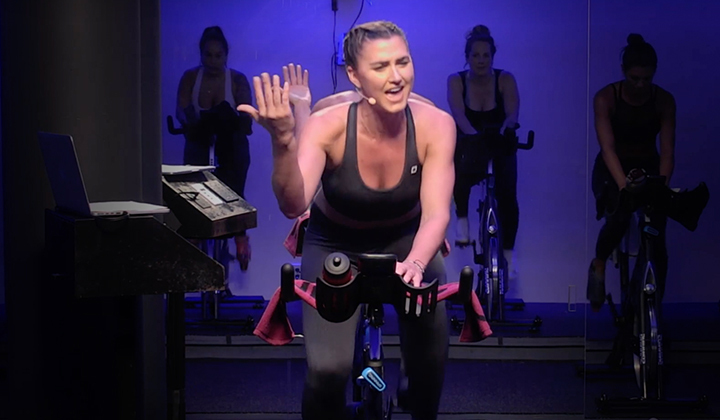 From decreased blood pressure and lowered cholesterol to improved mood and increased energy, making a habit of exercise like Spinning® classes and outdoor cycling can help you not just look better, but feel better too. And the best thing is that these activities are incredibly fun, making them a great way to spend quality time with your kids while helping them build life-long good habits. 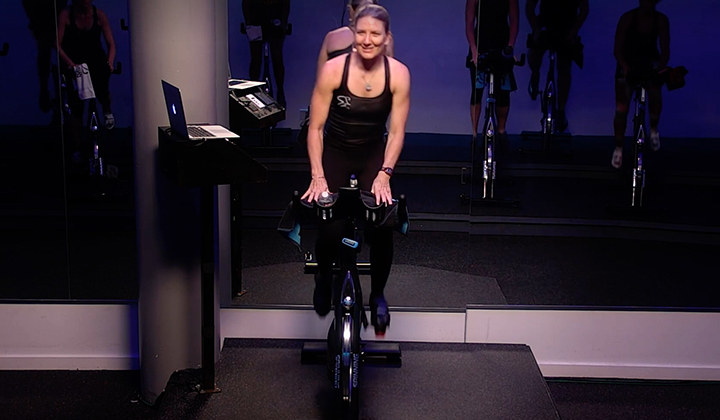 Indoor riding is a great way to introduce your kids to the bike, all while keeping Mom happy by keeping the kids in a safe, controlled environment. 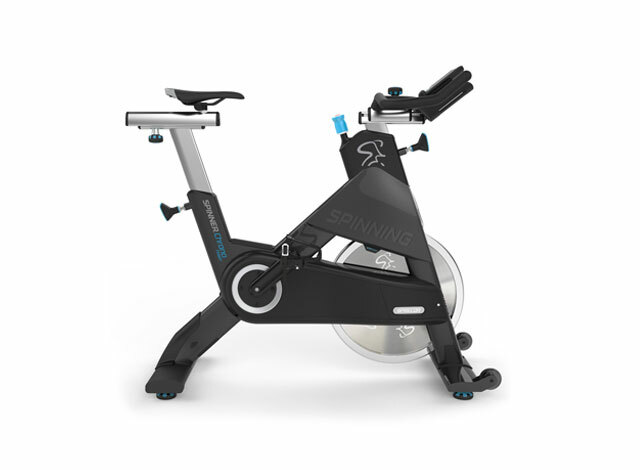 Generally speaking, Spinner® bikes are suitable for kids who are at least 11 years old and 4’11” tall, and Spinning is a great activity for all body types and fitness levels. 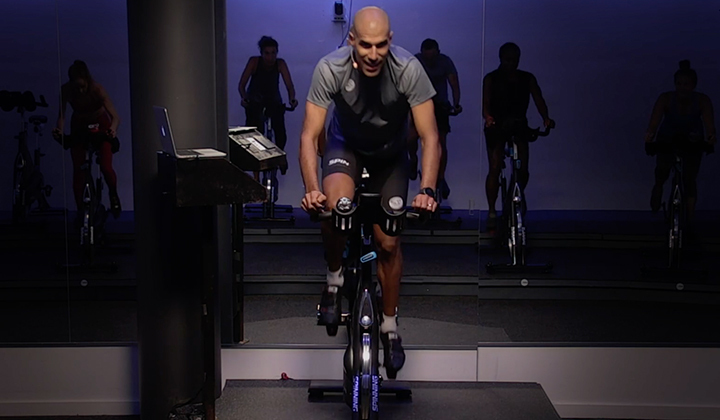 The bike fit guidelines for kids are the same as those for adults, although care should be taken to reevaluate fit regularly as kids are growing. The cadence ranges for kids are also very similar to those for adults. However, the lowest and highest ends of the spectrums should generally be avoided. As with junior road racing, where gear restrictions are in place to protect kids from using too much resistance because their muscles and joints are still developing, kids should generally maintain a cadence of between 65 and 100 RPM, depending on the terrain. Riding indoors allows your kids to build a solid foundation for future riding, focusing on comfort, technique and form without the distractions or dangers of the open road. 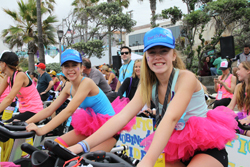 Another benefit is that everyone rides together, but at their own pace, so you don’t need to worry about your child getting tired or not being able to keep up. 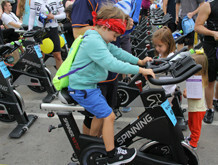 Finally, the adjustability of Spinner bikes makes them a great option for kids, as you don’t need to go buy a whole new bike every time they have a growth spurt.Outdoor riding is also a great option, giving you and your kids a chance to explore new places or maybe just cruise around the neighborhood. Before you head out, make sure that both you and your kids wear properly fitted helmets. In many states, the law requires all kids to wear helmets, and it’s a good idea to wear one yourself to set a good example. Outdoor cycling is a great way for your kids to practice valuable skills like teamwork, patience and persistence, and of course it’s a great way for them to build confidence—there’s nothing like the feeling of finally cresting the top of a tough hill. If you do go out cruising in hillier countryside, remember that you’re not in the gunning for the maillot jaune in the Tour de France; save your own workout for another day and focus on making sure that your kids have a positive experience. Remember that you have probably been doing some form of exercise since before they were alive, and that endurance takes years to build. Riding with your kids should be fun for everybody, and while a little competition can be healthy, don’t be afraid to get off the bikes and go exploring. 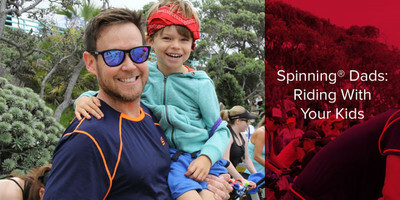 Taking a lighthearted and fun approach to cycling with your kids can help to build not only a lifelong passion for fitness, but also precious memories of fun times spent with Dad.